It hit me today that I process loads of information - reading, video, presentations, tweets, posts, etc. - and find bits of value and edification in most of it, but only occasionally do I feel like some piece hits me between the eyes like a 2X4. The video below raised a real welt on my forehead today! It got me thinking (no smell of smoke jokes....) about two areas that I spend my days focused upon. Watch the video if you have time. If not (SPOILER ALERT!) the premise of the TED talk is that a number of absolutes which we take for granted may in fact not be absolute at all. 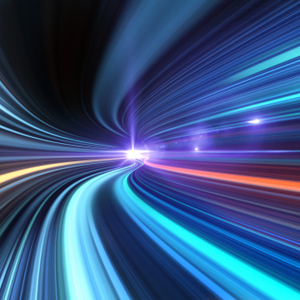 What if, in fact, the speed of light varies? Or what if the force of gravity fluctuates; or if you really do have "eyes in the back of your head"? So take a couple minutes and then circle back with me below so we can see if the "absolutes" in your business world are perhaps not quite as fixed as you have traditionally assumed. Let's run through some common "myths" (we might also call them dogma or 'head-trash' depending on how comfortable our conversation is) that can really compromise B2B business success in today's world. Social Media? Yeah, right. For a manufacturing company? You're nuts! We already have a website. It tells people about our products. So many businesses reflexively resort to well established assumptions in an understandable effort to juggle workload against too few resources. If some activities just can be sensibly postponed based on common wisdom, then that leaves more time for critical day-to-day priorities. But...what if the speed of light is actually variable? What if these snap decisions are based on faulty premises? What if the assumptions about the fundamental rules of global business are actually wrong? In other words what if your dogmatic assumptions (or head-trash) are limiting your business development opportunity? Just becuase you have a few international sales, are you really strategically maximizing your global opportunity? And just because you have an "International Sales Manager" are you focused on the right markets with the right products? Is your business development formula relying on faulty adjustments like the 1948 speed of light calculation? If you want to chat about it call me - I promise I won't use a 2X4, we'll just briefly discuss your business objectives and current progress toward them. If I don't think Consilium can help, I'll tell you so. It's simple.